As you seek to optimize and beautify your home, it’s valuable to know the nuances between different style options. One useful distinction to know is the difference between types of windows such as awnings and casements. Based in Cincinnati, OH, Murphy Home Improvement has become known for guiding homeowners through elegant remodeling projects. Whether you’re looking for new windows or doors, the professionals will boost your home’s curb appeal in addition to making it a more enjoyable place to live. As you consider improving some of the windows in your home, awning and casement windows are often among the top considerations. They are both part of the crank family of windows since they each rely on a cranking device to open and close. Both types of windows are capable of opening outwardly, letting a higher volume of air in when you want it. Additionally, their flexibility in movement allows for a more generous intake of light. 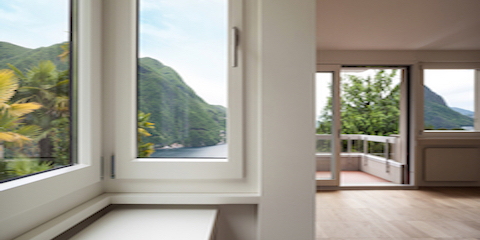 While awning and casement windows share many strengths, their key difference is with regard to style and shape. Casement windows offer a vertical profile, as they have a longer height than width. Because of their shape, they open outward to the sides. Awning windows, on the other hand, have a horizontal orientation, with their width being longer than their length. Instead of opening to the sides, they open upward. Sometimes your choice will be constrained by the space measurements of where you want the window, but when you have a freer hand, it will come down to stylistic preference. To add beautiful new awning windows to your home, reach out to Murphy Home Improvement. You can get in touch with a customer service representative by calling (513) 922-8989. For more information about the company, visit their website.